Metals-Piping holds a large volume of nickel and nickel alloys plates, sheets and strips in stock. The material covers Inconel series, Monel series, Hastelloy series, Incoloy series, as well as Nickel 200 and Nickel 201. All the products are manufactured in conformance with relative ASTM specifications: ASTM B127, B162, B168, B333, B409, B424, B434, B435, B443, B463, B536, B575, B582, B599, B620, B625, B670, B688, B709, B718, B755, B814, B818, B872. 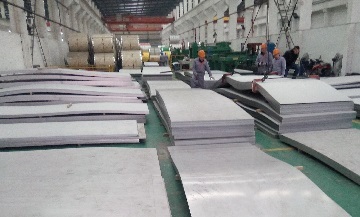 Nickel & nickel alloy plates, sheets, and strips in stock(mainly Inconel 600/ 625, Monel 400, etc).